A lengthy and impressive checklist of benefits often lures buyers to go for condominium units. Understandably so. When you have grand, hotel-like amenities, assured safety and security and a strategic location, among others, it would be quite difficult for any individual to ignore the convenience offered by modern-day condo living. ROCKWELL LAND developments are designed with end-users in mind. Meanwhile, transforming your own condo units to become more conducive for raising children is another matter. Architect Alice Erfe of Erfe and Associates shares with Inquirer Property a number of tips on how to create a kid-friendly sanctuary. 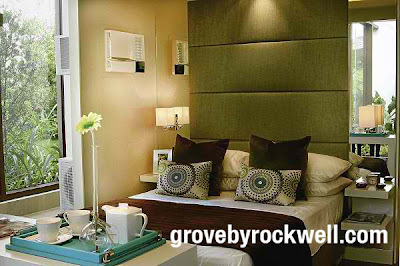 THE GROVE prides itself of being a kid-friendly development. 1 Colors should be more functional. According to Erfe, it is best to use colors that are not too white or too light to make it easier to clean and change. With a limited space that a condo unit affords, it would also not be advisable to go for dark colors. Instead, neutral tones would be a best bet, while splashes of colors should be for artworks, accents or throw pillows, for example, Erfe explains. 2 Use furniture that is softer, sturdier and reasonably priced. Citing examples, Erfe notes that instead of a square table that may have potentially sharp edges, one should use those that have round or rounded corners. Combinations of soft leather and fabrics are also advisable compared to high-end fabrics that can be easily soiled. 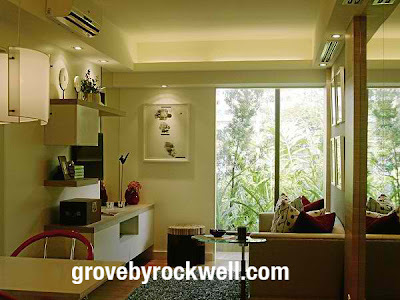 ROCKWELL LAND developments are designed with end-users in mind. Erfe also recommends the use of sturdy furniture that has metal frames. She further reminds families to initially steer clear of expensive furniture and stick to the basics instead, while your children are still young. “Don’t invest on very expensive furniture when your kids are still small rather go for affordable ones that look like magazine showcases,” she says. 3 Secure fixtures and outlets. Erfe specifies the use of compact fluorescents because these are much easier to use and work around with. Halogen pin lights and “sparkles,” she advises, should meanwhile be installed in safe areas where contact is less likely. For the outlets, Erfe says it would be best to use plastic protective covers to prevent children from sticking things into the sockets. 4 Protect your furniture. It would be practical to use slipcovers to protect chairs and sofas as these do not only serve as a protection, but they also allow for easy maintenance. The slipcovers will also serve as your kids fashion plate, Erfe adds. Tempered table-top glass are likewise necessary to preserve the quality of wood tables, as spills and drawings or sketches on tables are quite common with kids around. 5 Plan your furniture layout and selection. Erfe reminds unit owners to plan well and go for clean, modern or contemporary selections that are multifunctional as well. For example, one should choose beds that have drawers or tabletops could have hanging ledges which one could use to organize things. 6 Don’t put too much décor. Try to make each space more useful, and make each piece of furniture multifunctional. Also remember to group accents in corners so that they don’t overwhelm,” she says. At the same time, such types of furniture will allow your units to be clutter-free—still the best way to preserve the look of your unit and make it safe for your kid, Erfe concludes.